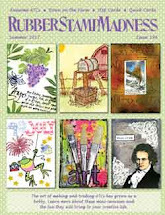 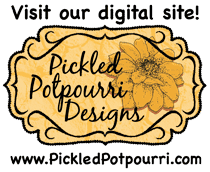 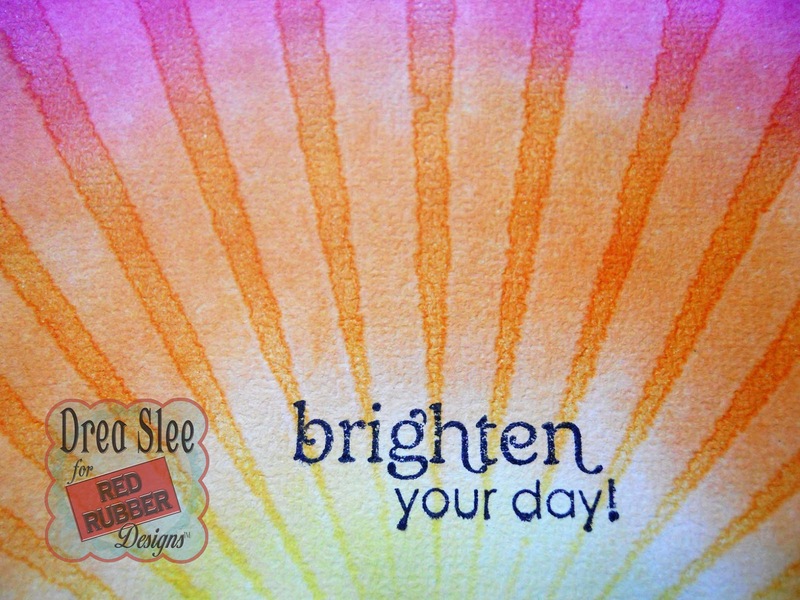 Have you ever tried stamping with water and Distress Inks? 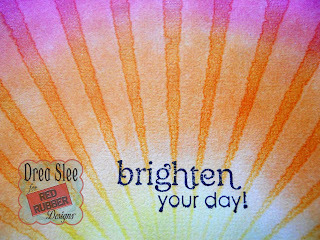 It's such a great technique, and the Rays of Hope Cling Mounted Rubber Stamp from Red Rubber Designs is the perfect stamp for it! 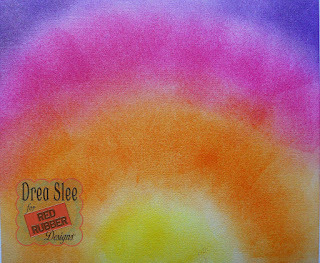 Just grab your blending tool and apply Squeezed Lemonade, Spiced Marmalade, Picked Raspberry, and Wilted Violet Distress Inks onto white cardstock in a half circular motion. 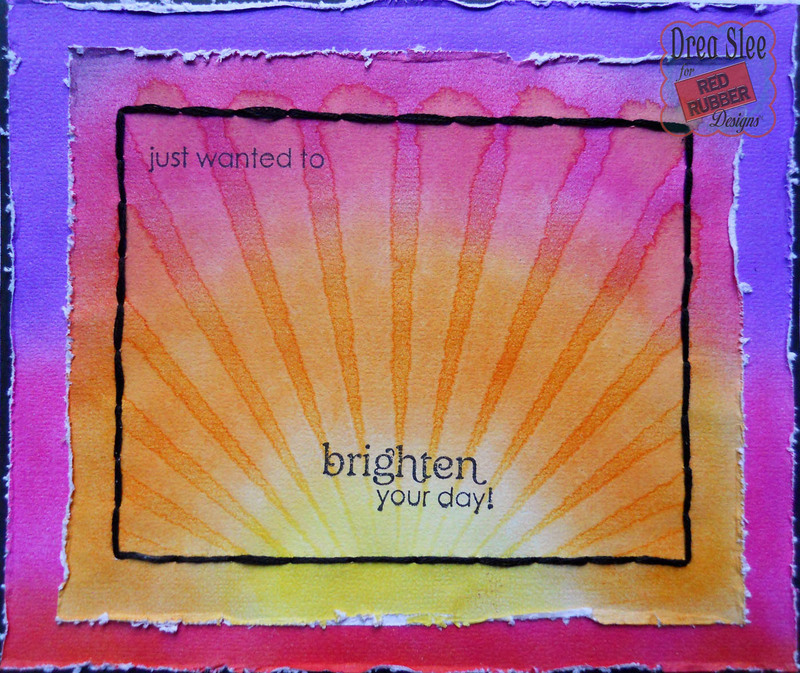 Then just spray your stamp with water, and press down. 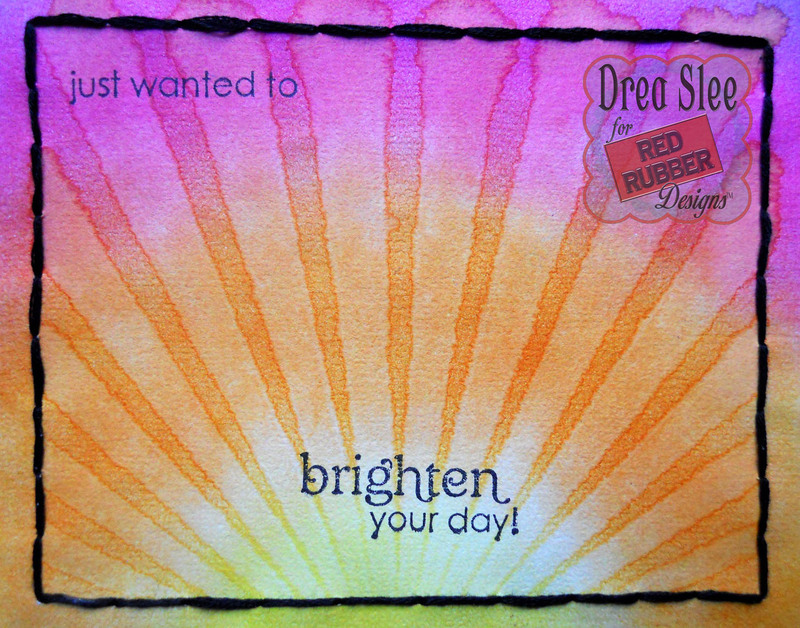 The sentiment was stamped in black with the Say Hello Unmounted Rubber Stamp. 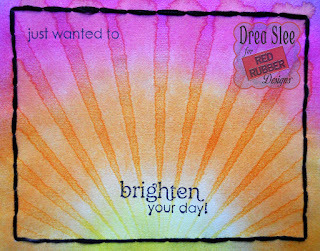 Then I distressed my edges, adding another layer colored with inks, and outlined the stamping with some hand-stitching.